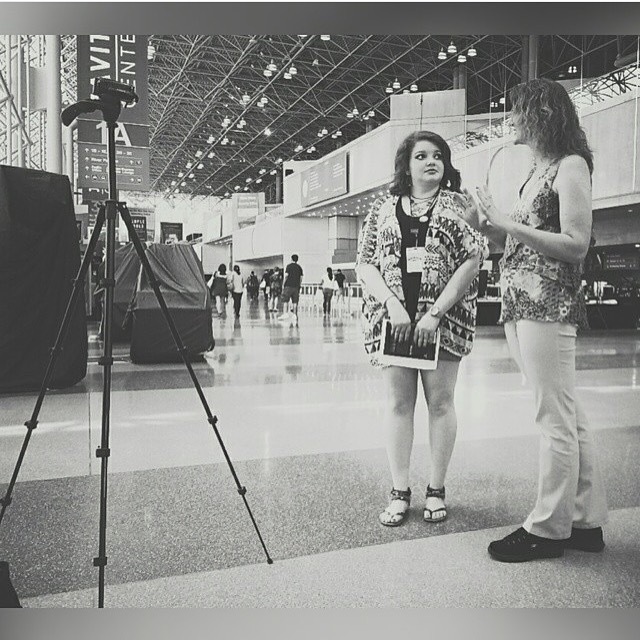 It is almost a week now since BookCon. It seems like a dream. Like it didn’t happen. 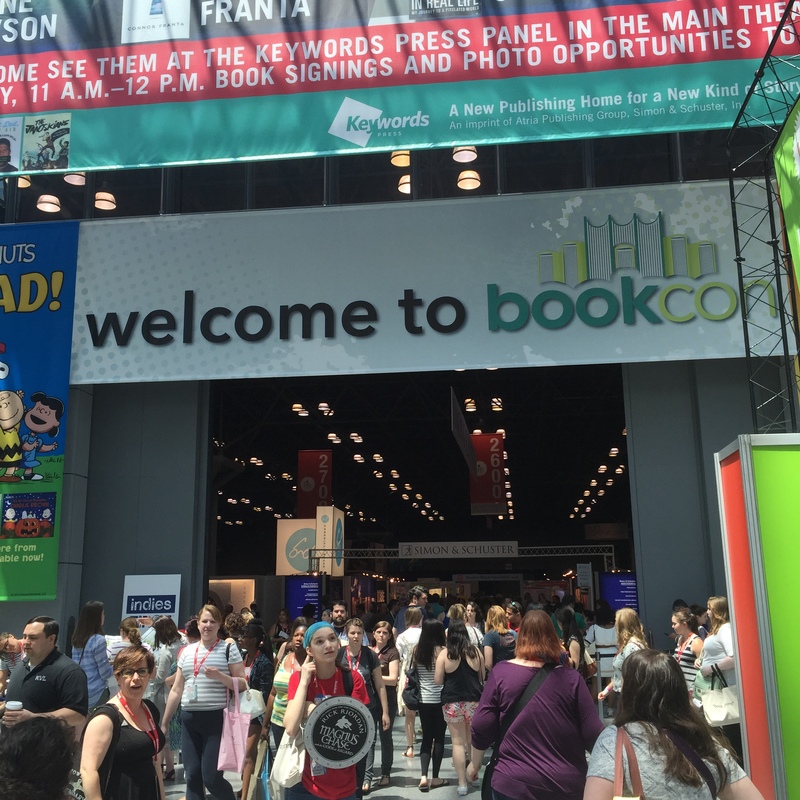 I realize most of you probably have not been to BookCon, so let me try to paint a picture. While I expected it to be “big” and I expected there to be lines… Well, let’s just say being prepared, and then actually experiencing it are two very different things. Reading IS NOT DEAD. And to many people, authors are better than rock stars. Book fans will wait in line for an hour in the morning to get a ticket for the privilege to stand in line again a half hour before an afternoon event, just to hear their favorite author speak. 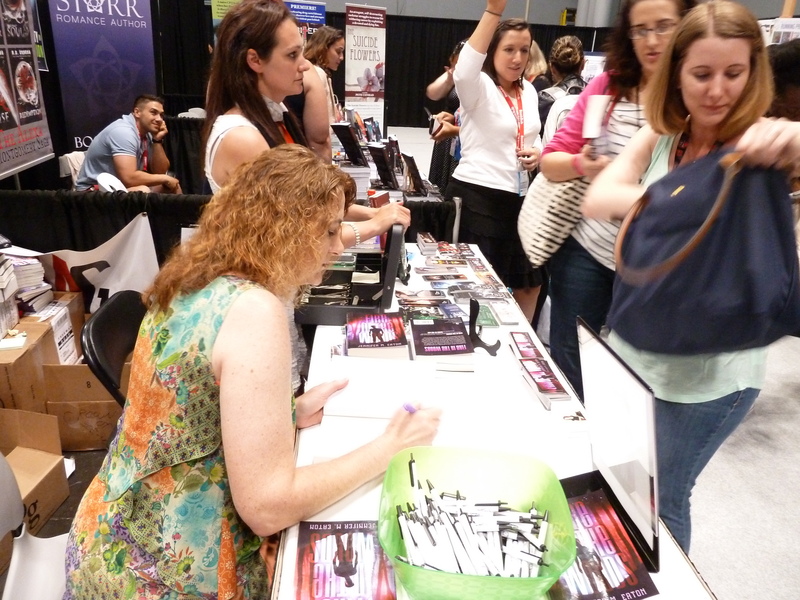 (This would also entail getting to the venue before it opens, and standing in line to be one of the first people through the door) They will also show up an hour early to get a wrist band or ticket to secure their place in line so their favorite author can sign their books. And people were signing. And signing. And signing. Booths ranged from the small one-table displays with banners (Where I was) to huge structures that felt like walking into a building all its own, complete with sitting areas inside. And thousands of readers were in those booths. It was pretty cool to think that all these people loved books enough that they traveled, some coming from huge distances, and paid $35.00 to get into an event showing books, and only books. So, how did my signing go? I met a lot of readers who had contacted me through social media after they read Fire in the Woods. Some came with their books for me to sign, and others picked up second copies so they could have signed ones. I would say that 50% of the books I signed were people who had already heard of Fire in the Woods, and the other 50% were walk-ups. 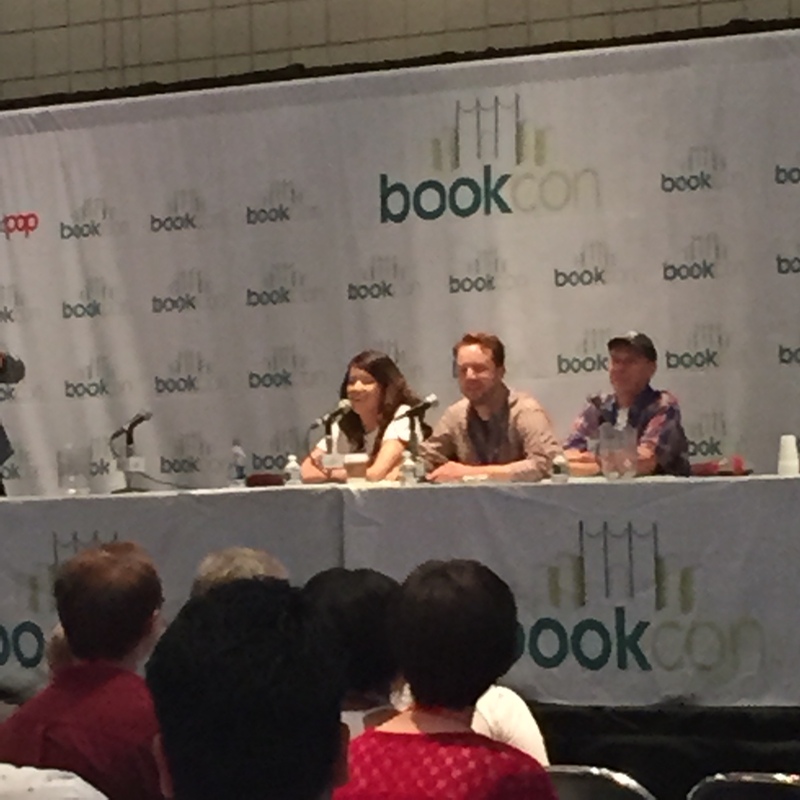 There’s the Lovely Annie near the back of the line, holding a book in the air and waving people in line. Her shoulders must have been on fire! When I first got there, the Month9Book Squad plumped down about twenty books in front of me. About 30 minutes into the signing I was down to three books and they re-loaded the table. 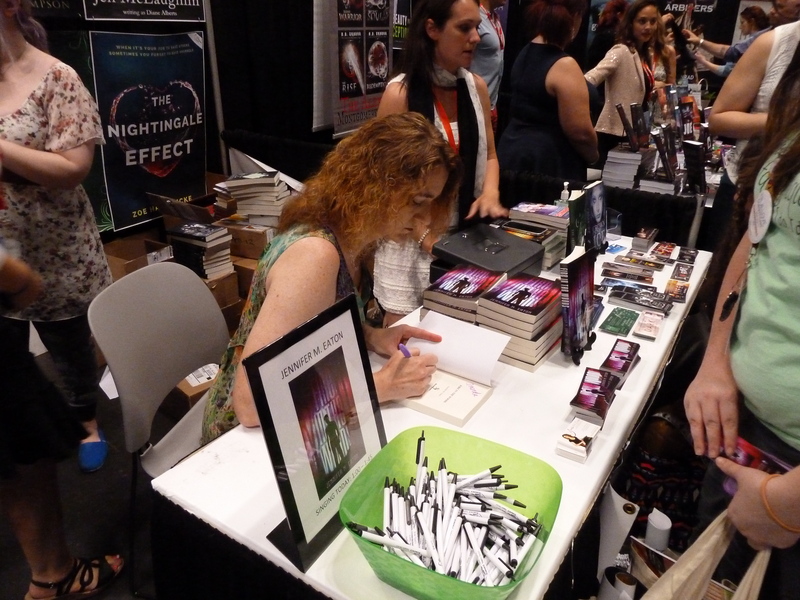 I’m not sure how many books I signed, but I would guess 30 or so during my 45 minute time slot. My lines were definitely not starting a traffic jam, but I was pretty stoked when I looked up a few times to see people waiting. This girl was adorable. 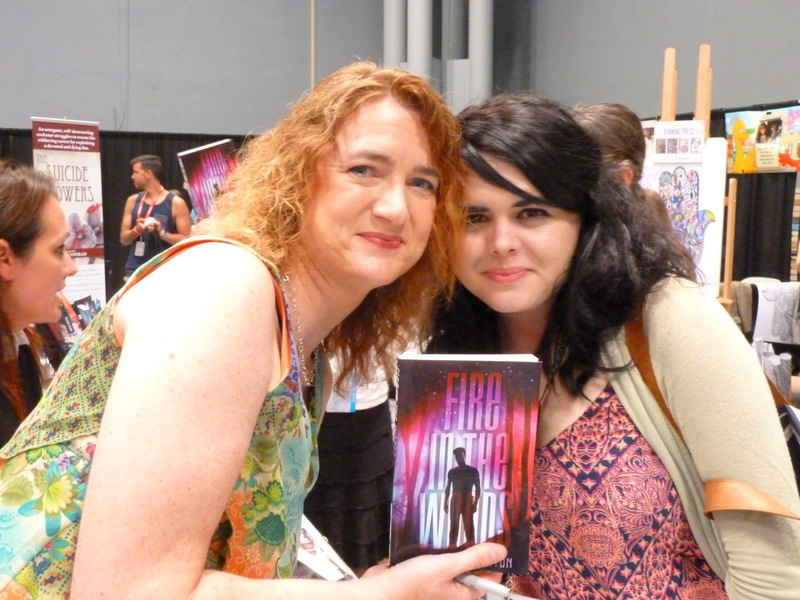 She came up to the booth while there was no one there, looked at the back cover copy of Fire in the Woods, and asked her dad if she could buy it. I signed her book for her, and about ten minutes later she came running back and asked for a picture. I wish I could remember her name! Shout out to all the parents dropping money on books for their kids. Kudos to you for supporting a healthy reading habit! All in all, I’d say it was a great day. 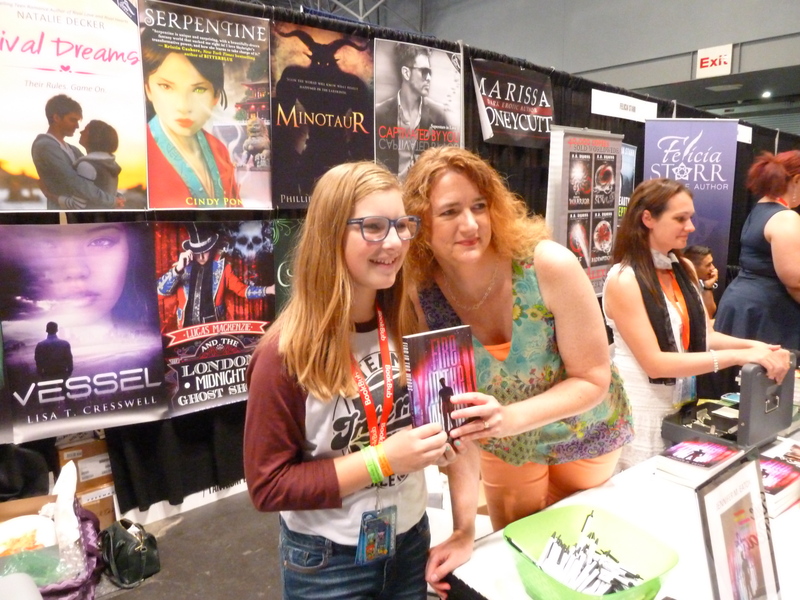 I had the opportunity to meet fans, and hopefully introduced the book to new fans. 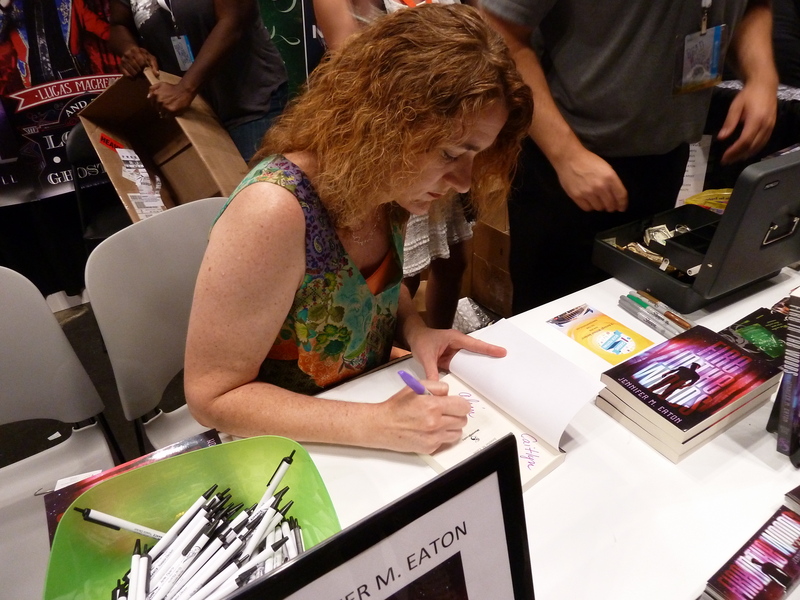 As a newly published author, I took in the lines waiting for fiction superstars with a sense of awe. I’ve always been motivated and driven, but now … well, now I’m even more so. Now I’m looking to increasing my catalog and broadening my reach. The only difference between us guppies and the gold-plated mackerel is number of books and numbers of readers. I already have a very well received book. Now I need to get that book into more hands. How am I going to do that? Yeah… I’m working on it. 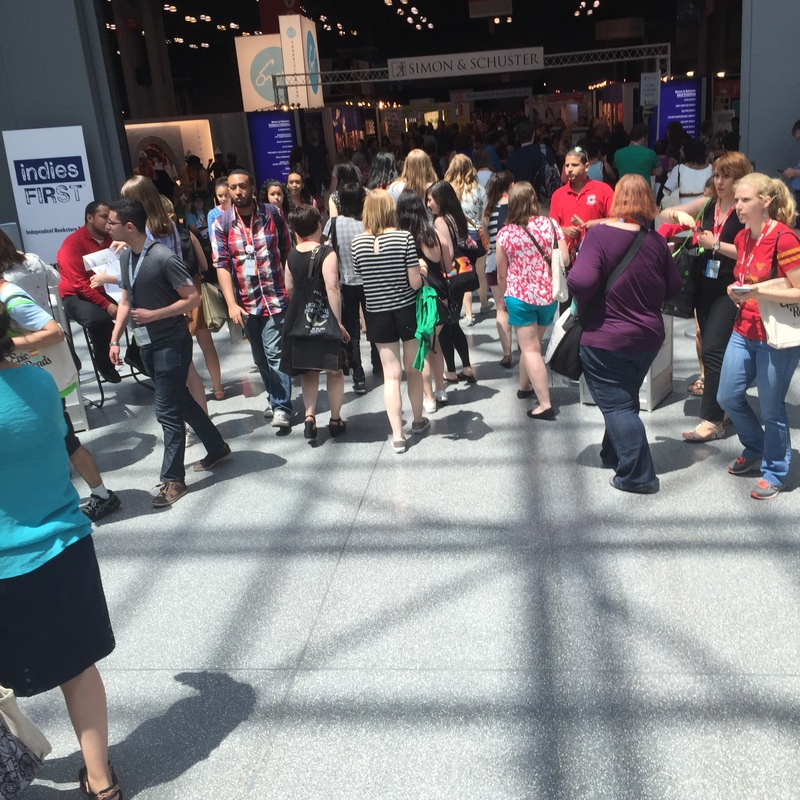 This entry was posted in Author Advice, Marketing Madness and tagged BookCon, BookCon 2015, fire in the woods, goals, jennifer eaton, jennifer M. Eaton. Bookmark the permalink. 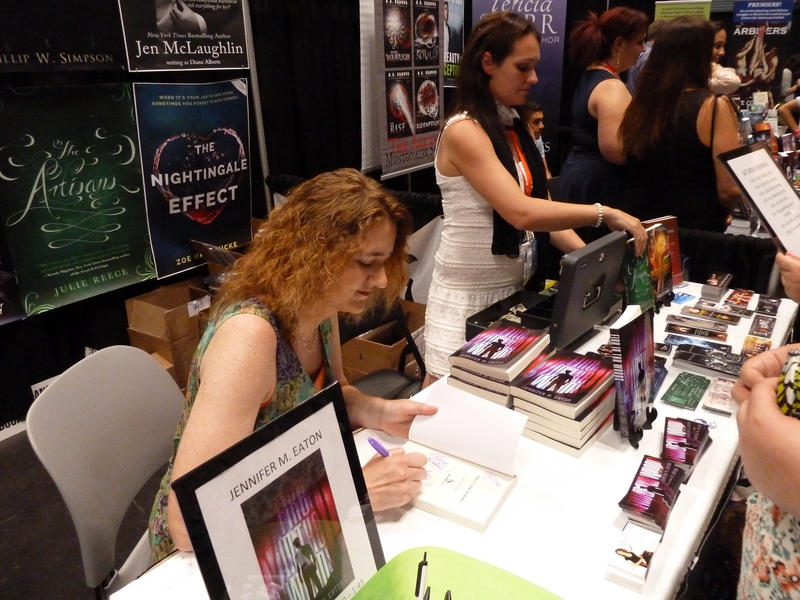 Loved seeing your books there Jennifer and wish we signed the same day so I could have seen you! That rocked you had so many folks come out! Woohoo!